Well here we are… I have been home for almost 48 hours and I have to say its better than I could have imagined, and not even close to what I expected. It was the insecurity, self judgement, resentment and unhappiness I was feeling before I left that was affecting my perception of home. Everything shines a little brighter here; the air is clean and crisp, the food fresh and tasty, and the hugs warm and welcoming. My husband and I were greeted at the airport in the early hours of yesterday morning by my second mum (his mum), and as always she went above and beyond, waiting up and making the big drive to the airport to pick us up. Yesterday I spent the day with my mum, sister and nephew. My sister’s smile lit me up and the embrace my little nephew gave me was too special for words. My mum and I talked like we haven’t in ages, laughing, crying, our words filled with honesty, love and and passion. Today I walked my dog barefoot to the park, he wandered around while I did my yoga practice in the sun. 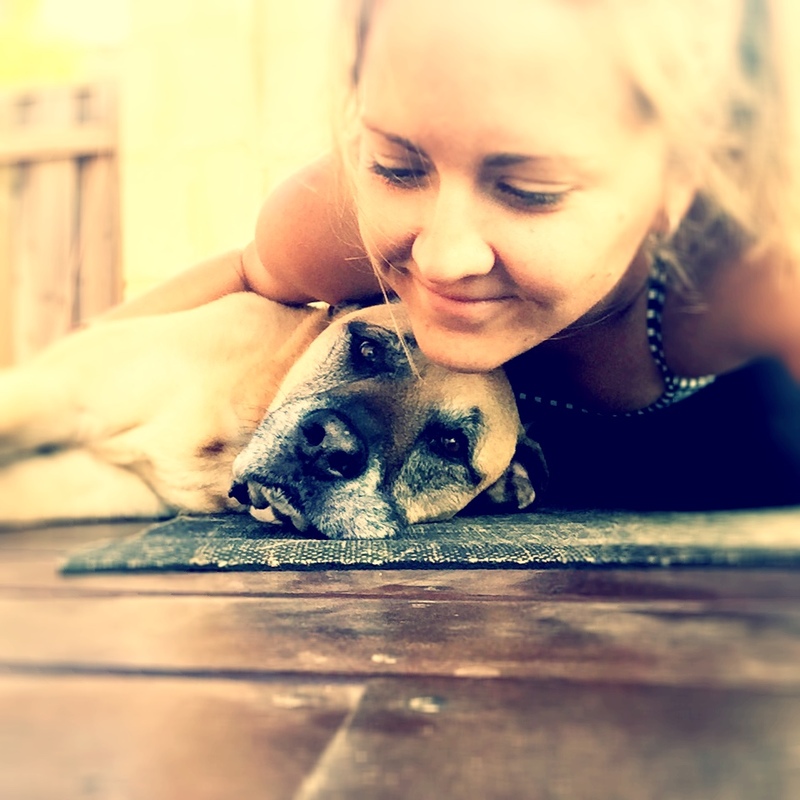 I felt alive and connected, so happy to be at home with my best buddy by my side, taking in the Perth autumn sun and playing on the grass. Tonight I spent the night surrounded by my beautiful friends sharing the stories of my adventures. I have realised that perhaps it wasn’t the outside that I needed to change, it was the inside. That’s all I have tonight; just a heart full of love, contentment and gratitude. I am incredibly lucky and blessed for the people I have in my life. It’s really good to be home.